France has awarded a human rights award to Al-Haq, an organisation that calls for the boycotting Israel and which has ties to terrorist group, Popular Front to Liberate Palestine (PFLP). French Justice Minister Nicole Belloubet and president of the National Consultative Commission on Human Rights, Christine Lazerges, will present the award to the group in Paris on 10 December. Al-Haq is a leading Palestinian organisation in the anti-Israel boycott, divestment and sanctions movement, and it has submitted documents to the International Criminal Court against Israel. It has also filed cases meant to disrupt trade with Israel in the Netherlands, Canada and the UK. 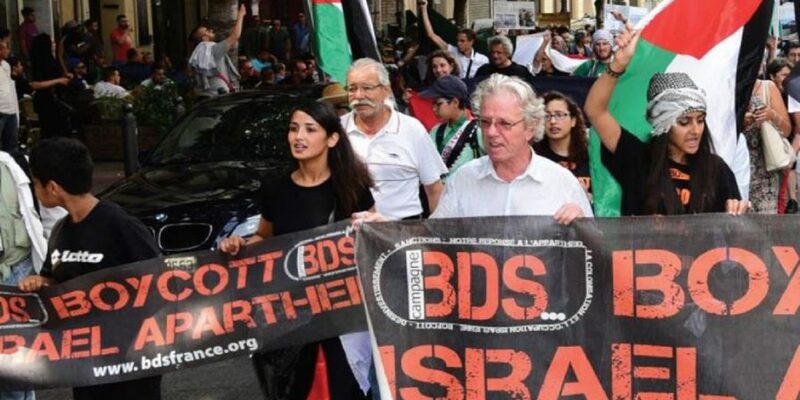 B’Tselem is a member of Paris-based group Fédération Internationale des Droits de l’Homme (FIDH), “an association of international NGOs that is active in anti-Israel BDS campaigns,” NGO Monitor reports. French Member of Parliament Meir Habib blasted the French government’s decision to award B’Tselem and Al-Haq, which were two of five organisations awarded. “I am again struck by France’s obsession with what they define as ‘the occupation.’ We Frenchmen once more choose to see reality in a distorted way,” he said. “How can a human rights prize be awarded to organisations that treat terrorists as freedom fighters? How do human rights values ​​co-exist with the ceaseless activity of these organisations to boycott the State of Israel? Why is there no reference to the human rights of Israelis who have suffered from endless terror?” he said. “Today’s prize pushes away peace and sets the mark of Cain on the forehead of the French Republic,” Habib said.